Yesterday the contract for delivery, installation and commissioning of new and reconstructed equipment for the adaptation of thermal block in Thermal Power Plant Kostolac was signed. The contract between companies Thermal Power Plant Kostolac and IMP-Automation and Control was signed by Dragan Jovanovic and Milenko Nikolic, managing directors of those two companies. 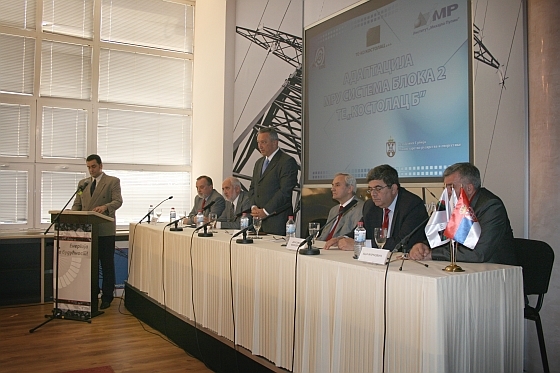 The Serbian Minister of Mining and Energy Petar Skundric was also present at the contract signing ceremony. The value of the contract is more than 5.2 million euro. IMP-Automation and Control will deliver equipment and perform works on 350 MW block in TPP Kostolac B and the test operation phase is scheduled for December 2010. Post Published : 9. July 2009.